Providing inspirational and creative experiences for teams helps them to come together, gel, and tackle big issues creatively. 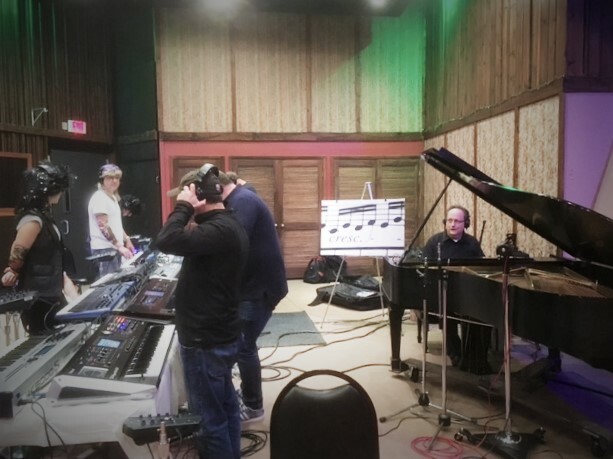 We build those experiences within a professional recording studio through a unique combination of activities including facilitated strategic planning exercises and group and individual music making. We immerse a team in the power and inspiration of creating music to deliver a once in a lifetime team experience and unique audio content reflecting the team. "At the end of day one I felt filled with more clarity"
"I felt more clarity in our future direction and more alignment across the team"
"New venue and clear process helped us gain clarity and we felt even more like a team then before"
"Good to step away and get perspective. Good to get to know others more intimately. I think it allowed us to speak more frankly." "Totally different to our working environment. Not usually associated with office type work. So good way to clear the head for strategic thinking." " Awesome. Definitely the more fun part of the experience and got our minds to focus on something else vs the big decision around growth." "More of a connection to my team"
"Working with Robert and his team was an awesome experience for my team. We left with more clarity and alignment, and a deeper knowledge of who we are as a company and as a team. 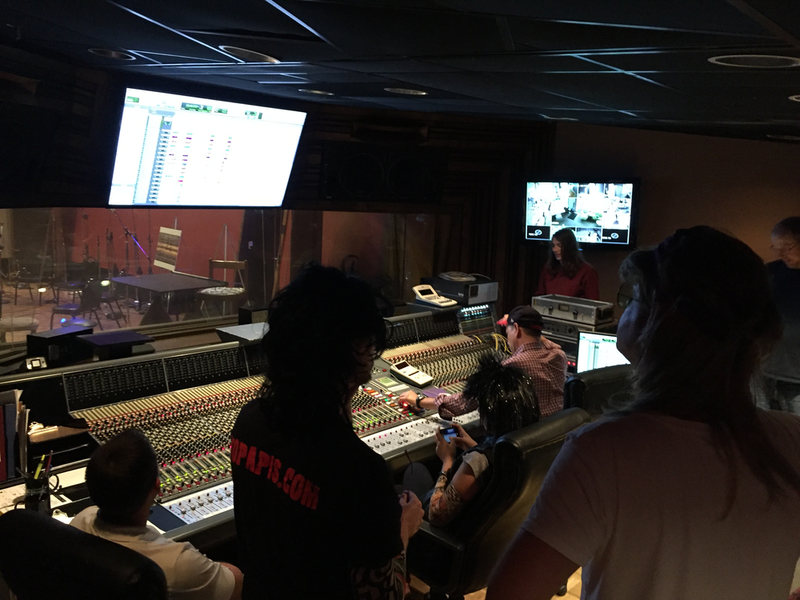 Also, the use of music really brought out the creative energy of the team." Years of award winning work in Organizational Leadership, Strategic Business Planning, Digital Communications, and creative areas such as the Recording Industry, Computer Gaming, Film, Television, and Advertising allow our team to develop incredibly powerful and rare experiences that deliver transforming results. After years playing in the Los Angeles music scene, Robert worked in the studio and post production communities in Hollywood before joining computer gaming giant Sierra On-Line. There he joined Sierra’s stellar Composer group. While there, Robert’s work included several games including the award winning Gabriel Knight: Sins of The Fathers, Gabriel Knight 2: The Beast Within and Gabriel Knight 3: Blood of The Scared, Blood of The Damned. Additional notable game scores have included Jane Jensen’s Gray Matter, Lola and Lucy’s Big Adventure, Moebius: Empire Rising and Gabriel Knight Sins of the Fathers 20th Anniversary Edition. Other performance and production activities have included work as a writer, member, and Producer for The Scarlet Furies, and performance and studio work with Steve Lukather, Leon Russell, Rusty Anderson, Jim Messina, Peter Asher, Sting, and The Zombies. As an Interactive Producer and Organizational Leader Robert's clients include: Microsoft, H&R Block, Seattle’s Best Coffee, Nordstrom’s, Vail Resorts, Pike Place Market, T-Mobile Wireless, MSN, Starbucks, Hewlett Packard, University of Washington, Amazon.com, Paramount Pictures, CBS Television, and Warner Brothers Entertainment. Peters' best work lives at the crossroads: the intersections between public, private, and non-profit organizations as they wrestle to overcome challenges that each cannot conquer alone. These challenges include environmental performance, community resilience, wise use of energy resources, Veterans’ employment and transitions, transportation decision making, cradle-to-grave treatment of electronic products, and other intractable problems. He has worked with companies and federal agencies, with staff employees in contracting, human resources, information technology and with operating units as they the bridge gaps separating immediate results and long-term effectiveness. He thrives on helping organizations become more successful. Peter helps leaders, whatever their official roles, make a difference. He has had the privilege of helping people set their organizations direction for the future and enlist support in ways that unleashes energy inside and outside those organizations. His work includes strategy, leadership, organization design, and performance improvement with enterprises of all types. Over a period of a dozen years, George Napier established, grew, and led the Center for Advanced Learning Solutions (CALS), a 60+ person digital learning business unit at a large East Coast management consulting firm. The Center produced ILT, WBT, simulations, and mobile training for large US Federal agencies and offices, state and local governments, and non-profits. Prior to this, George created, programmed, and directed interactive content for a diverse client list including organizations such as the World Wild Life Fund, Pfizer International Pharmaceuticals, and the Microsoft Corporation. He also has led a successful multi-year, private-public partnership initiative focused on strategic reform of a major metropolitan school system. George has a passion for music and has been involved in synthesis and sound design for over 20 years. He has composed video underscore for corporate and non-profit clients as well as provided voice over and post production audio support. He also narrates and produces audiobooks for Audible.com. He is currently completing a MA in Professional Media Composition remotely at ThinkSpace Education / University of Chichester, West Sussex, UK. Steve has played in bands since he could hold a pair of drum sticks. He has toured the country as a drummer and recording artist, playing almost every genre known to man. Music performance and instruction is his passion and his purpose. His creative drumming style can be seen with The Scarlet Furies, Stereo Steve, and countless others. 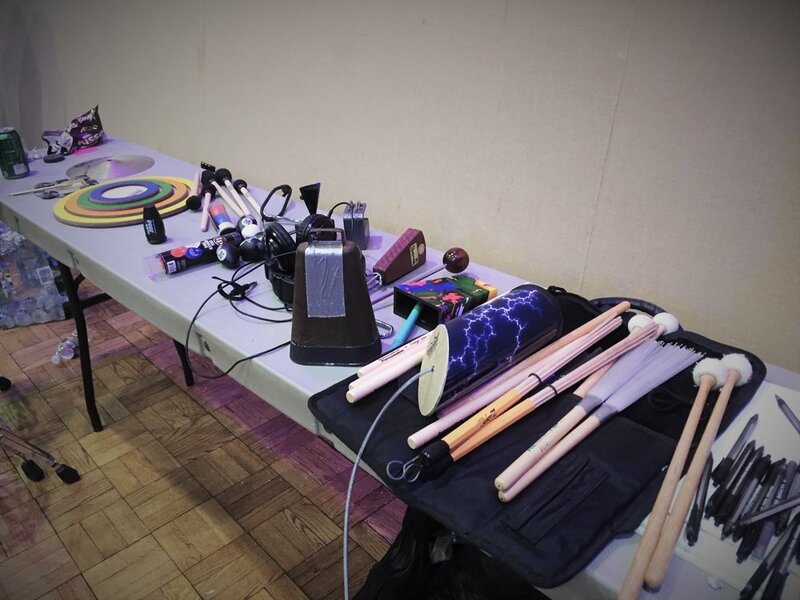 Steve loves working with kids and created the Bucket Busters, a group of young drummers who bang, clatter, and whomp on buckets, trashcans, and water jugs pumping out fast-paced percussive and world beats rhythms that will challenge you to sit still. These drummers aren’t just beating on buckets, they’re investing in their community by collecting music scholarship donations for kids’ who otherwise would not have the opportunity to take music lessons. Steve is also a certified trained facilitator for "Beat The Odds" (an evidence based program developed at UCLA Arts and Healing). Steve lives with his wife, Stefanie and dogs, Pepper and Nellie. A composer, performer, producer and recording artist residing in the Washington, DC area, Roger graduated from the University of MD with a Music Theory degree before focusing on a composing career. His work has appeared on NBC, FOX News, CNN and HGTV, and he has also scored gameplay trailers for EA Games, political ads, various promos, commercials, etc. Clients include Citygate Films, Voice of America, Desiring God, Zynga Games, McCarthy Hennings Media, Rosetta Stone, Murphy Vogel Askew Reilly, Green Grass Studios, PCM Animation Studios, HZDG, the Waldorf Astoria, Christ in Youth, Rock Creek Strategic Marketing, Third Story Films, Ed Mitchell Communications, Vinegar Hill Creative, Bonnemaison Inc. Roger also performs solo piano and jazz trio gigs in the DC/Baltimore/Northern VA area, and teaches synthesizer seminars. Drop us a line and let us tell you more about how we can create a customized experience for your team or group!